Healthy Childbearing Experiences and The Newborn, is the combined introductory theory course of the Perinatal and Neonatal Nursing Specialty Programs. This course explores a number of concepts that are foundational to the practice of both perinatal and neonatal nursing, and healthy childbearing experiences. Within the context of building partnerships, learners are exposed to holistic caring for childbearing women, their fetuses and newborns, and their families. $434.32 - $851.56 See individual course offerings below for actual costs. Below are three offerings of this course for the Spring/Summer 2019 term. This is an online course with one textbook to be purchased from the bookstore. Students will receive a course information email approximately 1 month prior to term start. Important course information will be sent to you prior to your course start date. Check your myBCIT email account to access this information. This course offering is in progress and full. Please check back next term or subscribe to receive email updates. Available for re-registration (course extension) only. This is a re-registration section for students requiring an extension to complete their course from the previous term. Re-registration is a one time only option. Students must have approval from instructor, then contact Program Assistant for approval to register at epeters14@bcit.ca. This course offering is in progress. Please check back next term or subscribe to receive email updates. Available for exam challenge only. This section is an online guided learning/exam challenge for experienced Perinatal Nurses. There is one textbook that the student may purchase if they wish. Students will receive a course information email approximately 1 month prior to term start. Please contact the Program Head at reina_van_lagen@bcit.ca for approval to register. Distinguish the difference between fetal growth and development and how each is assessed during pregnancy. Describe variations to fetal growth and development and how they may impact the fetus’s transition to extrauterine life. Describe the rationale for and components of antenatal assessments, screening, and care in the promotion of healthy maternal and neonatal outcomes. Discuss the impact of social context including choice of care provider on the pregnancy experience. Describe the normal process of labour including the cardinal movements, 5Ps, stages, phases, and how these concepts are related to each other. Summarize the hormonal physiology of labour and birth and the impact of stress and uncertainty on the birthing experience. Discuss the role of the nurse as a member of the interdisciplinary team in providing care to women across the childbearing continuum. Identify variances in antenatal, intrapartum, and postpartum assessment data. Describe the normal physiologic transition of the fetus to extrauterine life. Summarize the interaction between infant behaviours and infant communication, and the implications for nursing practice. Describe the role of the nurse as a member of the interdisciplinary team in providing developmentally supportive care for vulnerable neonates. Explain the neonatal and maternal benefits of breastfeeding. Summarize the role of the nurse in promoting, protecting, and supporting breastfeeding. Analyze the effect of nursing attitudes and beliefs surrounding infant feeding and how they affect patient care. 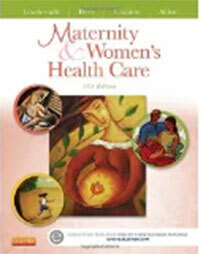 Summarize the essential components of postpartum care and discharge teaching for childbearing women and their families. The BCIT bookstore carries textbooks, general reference books, software, and stationery. Please visit bcit.ca/bookstore for more information. Books for Spring/Summer 2019 offerings of this course are available in the following BCIT online bookstores. Please choose the bookstore appropriate for the offering you are considering. If you are taking this course through either Distance Education or Online Learning, please purchase books for this course at the BCIT Distance & Online Learning Bookstore. Interested in being notified about future offerings of NSPN 7100 - Perinatal Nursing Theory 1 - Healthy Childbearing Experiences & The Newborn? If so, fill out the information below and we'll notify you by email when courses for each new term are displayed here. The personal information on this form is collected under the authority of the College and Institute Act (RSBC 1996, Ch.52). BCIT will use this information to communicate with you regarding relevant BCIT programs, courses and services. This information is only used by authorized BCIT staff. Email communication sent to and from BCIT is routed through the United States of America. If you have any questions about BCIT's collection and use of this information, please contact BCIT’s manager of Information Access and Privacy. Programs and courses are subject to change without notice. We've changed the way we accept payments. Registration is currently open for the Spring/Summer 2019 term. The sneak preview for the Fall 2019 term starts Fri, May 24 at 8:30 am (PDT). Students may register for Fall 2019 term courses online, by phone, mail or in-person starting Wed, May 29 at 9:00 am (PDT). Classroom locations are subject to last minute changes. Please check the Part-time Studies Classroom Locations listing at www.bcit.ca/rooms on the first day of any course you are registered for.